Hi there senyoritas 😀 It’s a fun day for me. I visited my dermatologist because of a skin overgrowth on my forehead andthe good news is – my condition is finally improving 🙂 I’ll have a separate blog post for this. And also, I had a fun talk with my gorgeous Master of Ceremony for my wedding day. 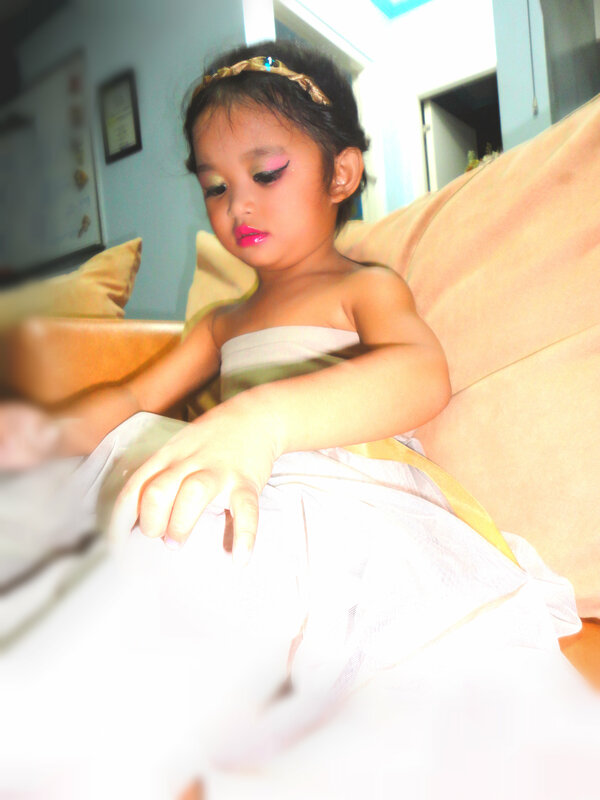 After the long and tiring day, I finally got home and decided to play a dress up game with Cheska. I decided to play with pink and green for her eyeshadow and I also used liquid eye liner. Oh my! Applying a liquid eye liner in a 3 year old kid isn’t an easy task. I sweated a lot and even played with her in front of the fan just to make sure she won’t open her eyes ’til the eye liner is dry. I suggest that if you are going to make a cat eye line using eye liner, use the pencil type because working with the liquid eye liner is exhausting plus if she opens her eyes, it becomes smudged and a complete disaster! haha Anyway here it is. 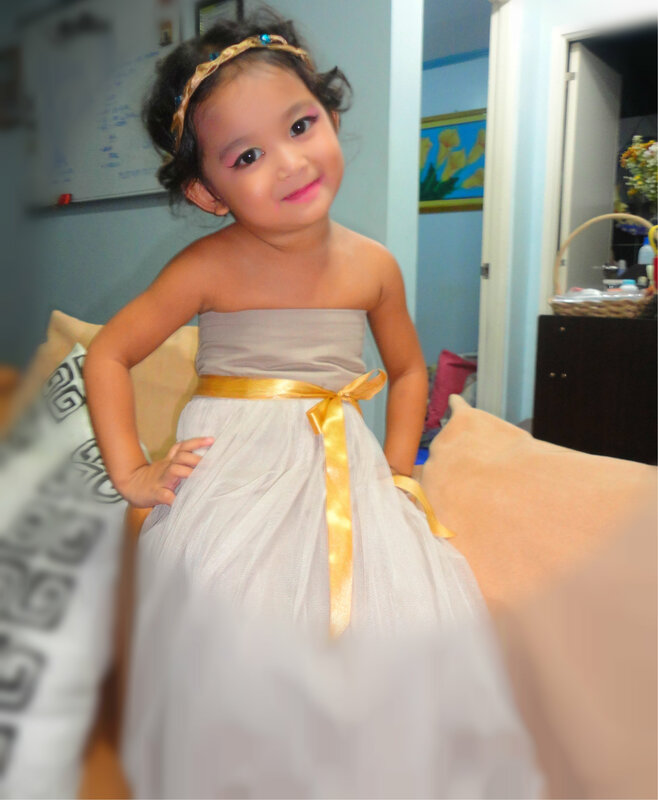 For her outfit and hair dress, I used some DIY stuff that I got from my closet teeheee 😀 I used my skirt to create a tutu dress for her and tied it up with a matte gold ribbon. 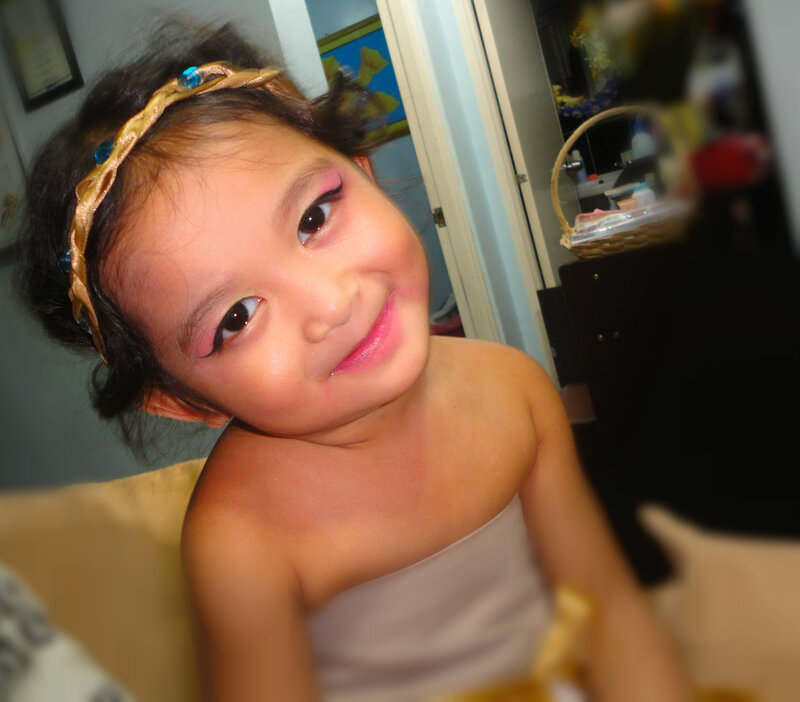 I bet you can still remember her hairdress, it’s my princess in lavender DIY braided head band which I rolled with her curly hair and secured a bun over the back. It takes an artist’s touch to do great make up and you have what it takes!